Home / Stock Picks / Stocks to Buy / Is It Too Early to Get Back Into Alibaba Stock? Is It Too Early to Get Back Into Alibaba Stock? Alibaba (NYSE:BABA), like many Chinese stocks, has been under pressure in 2018, mostly due to trade war concerns. In fact, the pressure has driven BABA stock down 17% year-to-date. And the strengthening U.S. dollar and reports of a potential cooling of the Chinese economy have added to the uncertainty surrounding BABA in the past few weeks. However, despite the recent doom-and-gloom, long-term investors may consider investing in Alibaba stock, especially as the company gets closer to report earnings on Nov. 2. As one of the most successful IPO’s of the past few years, and with a market cap of $380 billion, Alibaba has become a highly regarded global company. Alibaba stock offers U.S. investors the chance to invest in the growing Chinese consumer and e-commerce markets. As Alibaba gets ready to release quarterly results in two weeks, investors who seek capital appreciation should remember the company’s dominant position and fast growth in the Chinese e-commerce space through its B2C sales platform, Tmall, and its C2C sales platform, Taobao. Despite a potential slowing down in the Chinese economy in 2019 or 2020, China’s growing middle class will continue to drive consumer spending, especially in the online retail market, which is one of the fastest growing globally. BABA also has multiple equity stakes in growth companies in other industries such as Alibaba Cloud, its cloud computing arm, Ant Financial, the Chinese payments giant and Ele.me, the local delivery company. Alibaba also owns 31% of Weibo (NASDAQ:WB), the Chinese microblogging company. Furthermore, BABA has investments in startups in South and Southeast Asia, including Paytm, an Indian digital payments provider, and Lazada, a Singapore-based e-commerce company that is growing internationally. 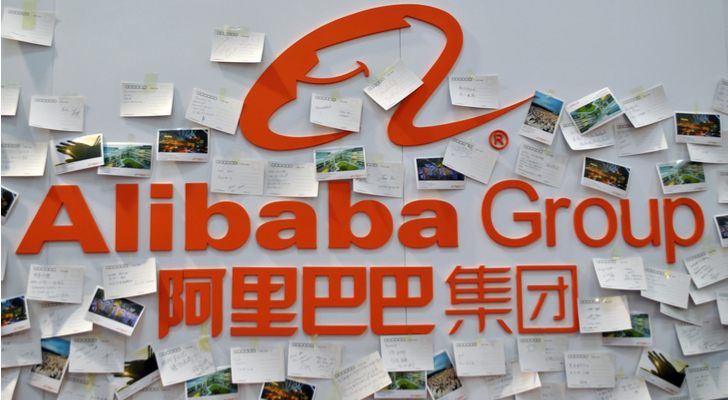 So Is It Time to Invest in Alibaba Stock? The answer depends on your investment style and horizon, i.e., whether you are a short-term trader or a long-term growth investor. Alibaba offers a compelling long-term investment. Yet, between now and Nov. 2, when BABA reports earnings, the markets are likely to continue to be volatile, especially as many other tech heavyweights also release quarterly reports. After investors’ harsh response in 2018 to the uncertainty over the threat of upcoming trade wars with China, Alibaba stock has suffered from a damaging technical picture. Its short-term technical chart still looks rather weak, and it is pointing to more choppy action, possibly around the upper $130’s to mid $140’s level. BABA stock’s 52-week price range has been $135.14 (Oct. 11, 2018) — $ 211.70 (June 5, 2018). Those investors who pay attention to moving averages should note that the short-term technical message is still a “sell,” while oscillators are moving toward a more neutral reading. Alibaba stock’s daily volatility is high, giving it a wide trading range, so short-term traders should proceed with caution in the coming weeks. From a short-term chart perspective, I am not willing to call it an exact bottom, yet. However, the recent price decline makes BABA stock an even more convincing long-term investment. I also believe that most of the negative stock price effects of the U.S.-China trade wars have already been priced into Alibaba. Finally, could an 11th-hour negotiation between the U.S. and China, especially after the U.S. mid-term elections, happen? Such a development would not be much different from the new trade deal with Canada and Mexico. In a positive final deal scenario where the narrative changes, BABA stock is likely to rally on significant momentum. Alibaba’s growth in e-commerce, cloud computing, and other investments throughout China and internationally make it a strong investment. Although Alibaba stock will continue to reward investors in the long term, the next two weeks may bring more volatility in technology stocks for short-term traders. However, I suggest that long-term investors regard any further fall in the BABA stock price as an opportunity to get long the stock, especially before the earnings release. Article printed from InvestorPlace Media, https://investorplace.com/2018/10/is-it-too-early-to-get-back-into-alibaba-stock/.